Nikon’s new P-TACTICAL riflescopes provide the features you need to maximize your shooting experience—regardless of the platform you mount it on. Fully multicoated optical systems housed in rugged, one-inch, aircraft-grade aluminum main tubes brighten even the most dismal environments and unforgiving conditions. The versatile 3x zoom ratio (on variable models) provides the field of view at the low end and the detail at the high end to satisfy most shooting demands. And if you’re a long-distance dialer, P-TACTICAL’s new, hash-marked MK1-MOA or MK1-MRAD reticles are matched to ergonomic turrets with directional indicators to make every come-up—or down—both simple and intuitive. Dedicated caliber models—including rimfire—match the reticle to your preferred caliber. When used in conjunction with Nikon’s free Spot On Ballistic Technology, all reticles offer exact holdover points or elevation adjustment for any long-range engagement. Exposed turrets engraved for maximum readability while offering smooth, repeatable adjustments. 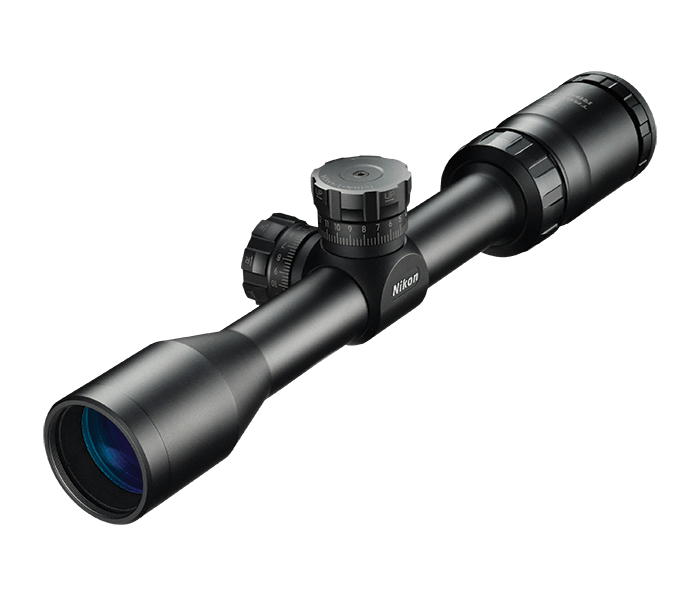 Smooth-turn aluminum ring with rubberized eye guard allows crisp reticle focus and quick target acquisition. Spring-loaded windage and elevation knobs can be reset to “zero” after sighting-in for easy reference when making field adjustments. Windage and elevation turrets are clearly marked for quick adjustments. Rugged, aircraft-grade aluminum main tube.